Is the e.l.f. Massaging Facial Cleanser a Dupe for the Foreo Luna? e.l.f. Cosmetics recently sent me their Massaging Facial Cleanser ($20) and as soon as I opened it, I was reminded of my Foreo Luna ($169)...both have soft silicone bristles and gently vibrate, pushing cleansers deeper into your skin. 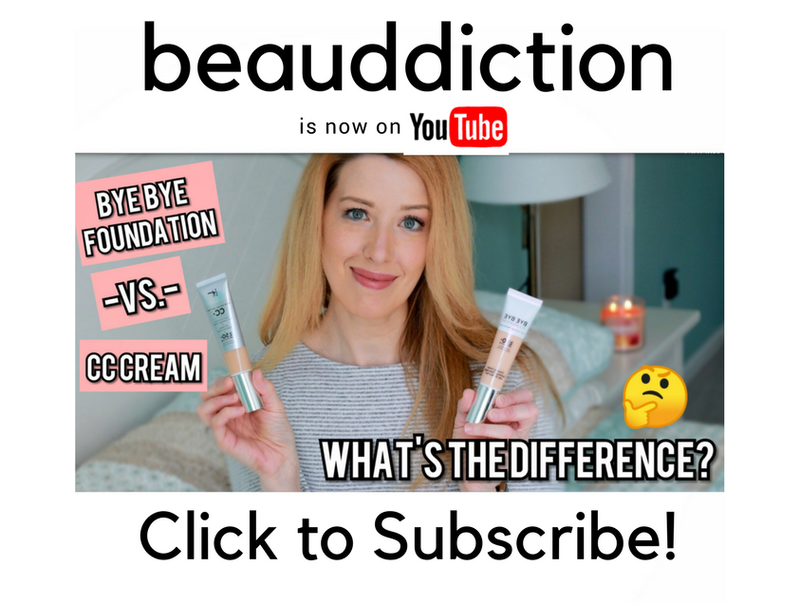 Both options are great for those who are sensitive that find a Clarisonic device too harsh, yet they still give you a deeper clean than just using your fingers. The good news is, I actually like the e.l.f. version even more than the Luna, given its tapered head. 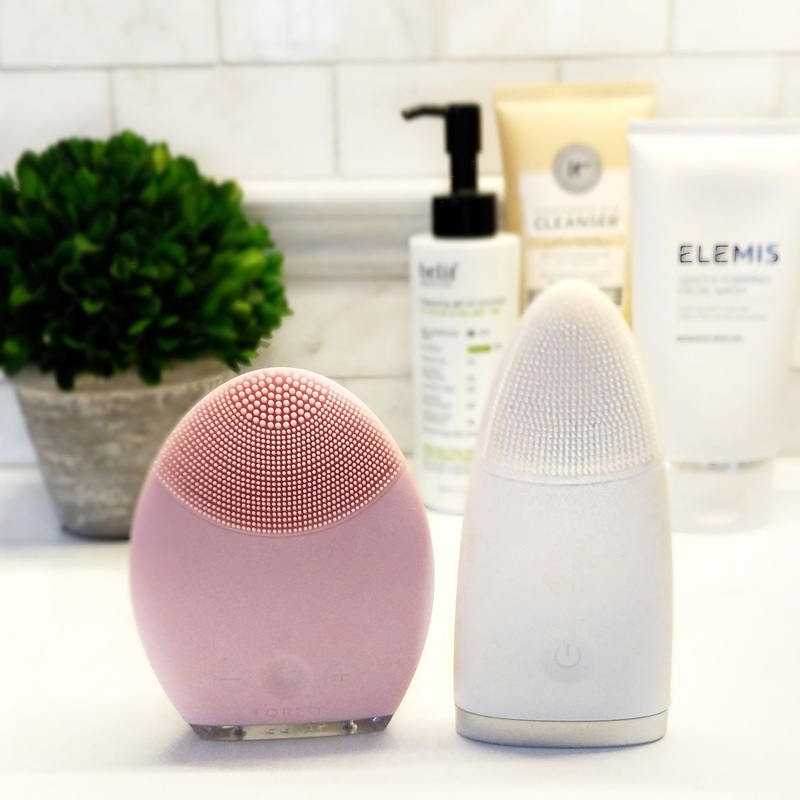 I have always felt that the Foreo had an awkward shape that made it difficult to get into the cracks and crevices of my face and it seemed as though larger areas like my forehead and cheeks were getting most of the benefits. But the e.l.f really gets into those spaces around my nose and under my eyes with ease and I think that the bristles are even a little bit softer! The only downside to the e.l.f device is that it has batteries that will need to be changed out every so often, while the Luna is rechargeable (and each charge lasts for months!). But for $149 less, I'll happily buy batteries for it. What are your thoughts? Will you be trying the new e.l.f. Massaging Facial Cleanser? *Product mentioned was sent to me complimentary from e.l.f. Cosmetics. I prefer batteries- I bought a lot of recharging batteries at IKEA and use them for everything. I hate that so many rechargeable items have life cut short because their batteries stop charging- my rotating facial travel brush has outlasted 3 Clarisonics. I might pick up the elf one, thanks! I'm really glad that I came across this post! I have a Clarisonic, but it definitely seems a bit too harsh for my own skin these days, even with the sensitive brush. I keep eyeing the Luna cleanser, but I may just pick up the e.l.f. one instead. Rechargeable devices are great, but with something like this, I think I prefer one that uses batteries. I don't have to store the charger and if it ends up dead, I'm not stuck waiting for it to charge. Plus, I tend to buy a TON of batteries at Costco, so I'm readily stocked!